In this image below and accompanying video, Canadian Prime Minister Justin Trudeau is holding two-month-old Justin-Trudeau Adam Bilal. His parents, Afraa Hajj Hammoud and her husband Mohammed Belal are Syrian refugees. 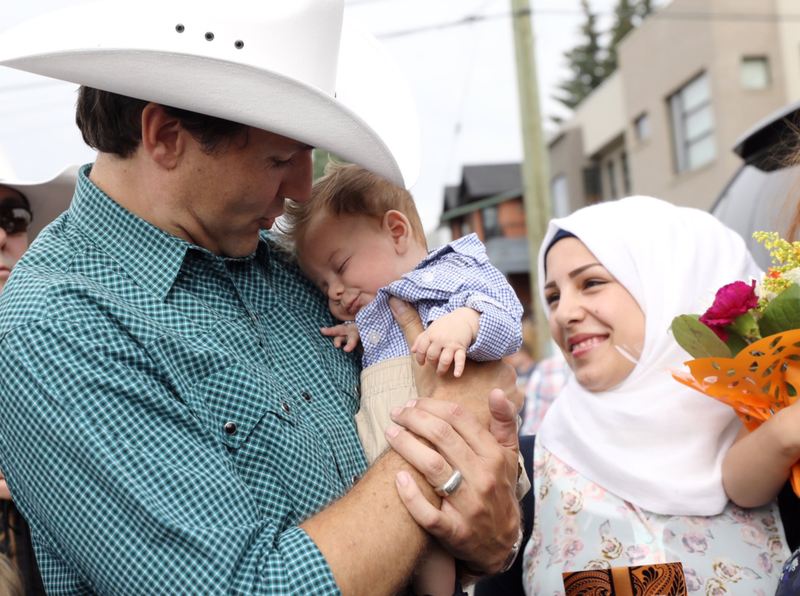 They named their son as a tribute to Trudeau. "For me he is wonderful and compassionate," said Mr. Belal - "I hope all leaders, whether Easterners or Westerners would be like him." Yet there is another display here which adds to the emotional richness of this moment. Notice Afraa Hajj Hammoud's head and neck are tilted. In the context of a sincere smile - simultaneously tilting of the head represents a sincerity amplifier.